The two main Dominion movements are Christian Reconstructionism and Kingdom Now Theology. Though these two movements differ greatly in their general theological orientation (the first is strongly Reformed and Neo-Calvinistic, the second is Charismatic), they share a postmillennial vision in which the Kingdom of God will be established on Earth through political, spiritual and in some extreme cases military means. Dominion Theology and Restoration today has progressed far beyond the reach of these early articles of mine; however it is always good to refer to the roots of the movement, and to understand its core objectives. Topics covered in this section are: Gatekeepers and Spiritual Warfare, Restorationism, Shepherding, Kingdom Theology and its proponents, historical roots such as Gnosticism, Sonship and the Latter Rain, the coming glorification of the ascended saints, and the part that the Toronto revival and such things as Celtic Mysticism have to play. What is the teaching on Gatekeepers? Who is the porter in scripture? Paul complained about the Athenians that they enjoyed nothing so much as some ear-tickling novelty, some new doctrine or philosophy to keep their interest in religion fresh. (Acts 17:21) I feel it’s much the same with churches now. One of these new doctrines is teaching on the GATEKEEPERS and it’s emerging as usual from the aligned revivalist/apostolic churches (churches of the New Order as I shall call them, because that was their chosen title the first time around, in the Latter-Rain revival of 1940’s). 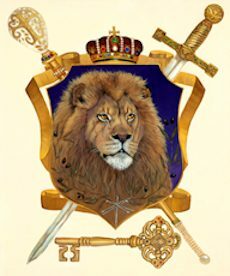 It is being said that the Church has gatekeeper ministries, possessing the “keys of David” to open and shut spiritual portals; that these gatekeepers can lock out evil and let in righteousness, both in heaven and on earth; that they can even open the gates of heaven to bring back the “king of glory”! When I first heard this bizarre teaching it intrigued me, so I decided to unpick a little of this new teaching to provide a better overall understanding of the doctrines of the New Order. Until recently, nobody had considered gatekeepers as an office in the Church. Where has this teaching come from? It is, as is often the case with supposed new revelations, based on symbolism and allegory instead of the plain literal understanding of scripture. And, again typically, scriptures and prophecies have been given a new context outside their proper meaning. Is this really so? Is the Porter or Gatekeeper of this passage a vital ministry gift? What did Jesus intend to convey in this parable? The central message of this passage of scripture is that ONLY through and in Jesus Christ is there any hope of eternal life and blessing in God. Salvation and admittance to God’s House is ONLY through Jesus Christ! "Then said Jesus unto them again, Verily, verily, I say unto you, I am the door of the sheep. All that ever came before me are thieves and robbers: but the sheep did not hear them. I am the door: by me if any man enter in, he shall be saved, and shall go in and out, and find pasture." Jesus taught that ONLY he was the legal guardian of the sheep and the WAY by which they entered the sheepfold of God. All others who offered an alternative route into the sheepfold were liars. Any route to salvation that does not pass through Jesus Christ as the Door or Gate to heaven is a lie. "But he that entereth in by the door is the shepherd of the sheep. To him the porter openeth; and the sheep hear his voice: and he calleth his own sheep by name, and leadeth them out." The word used for porter (KJV) or gatekeeper (LB) or doorkeeper (NAS) or watchman (NIV) is thuroros from thura (portal, gate or door) and ouros (a watcher) hence thuroros is a person who watches at the door or entrance, usually to open and shut to door to authorised callers, but also to guard the entranceway and stop illegal entry. We see something like this in the BOUNCERS who stand at the doors of discos and clubs in the city. Robertson's Word Pictures in the New Testament likewise says: “[Thuroros is] an old word for doorkeeper. The porter has charge of the sheep in the fold at night and opens the door in the morning for the shepherd. It is not certain that Jesus meant this detail to have a special application. The Holy Spirit, of course, does open the door of our hearts for Jesus through various agencies. In the richer houses of Palestine, a guard would be employed to stop thieves getting into the house, and to open the door to bona fide entrants, members of the household (including the Shepherd who had come to let the sheep out in the morning or settle them safely in the fold for the night). Looking at this from a spiritual standpoint, with Jesus as the Shepherd, and the Kingdom of God as the Sheepfold, (Luke 13:24-30/Rev 22:14) then it seems plain that the Porter or one who allows entry is the Holy Spirit – for no man comes to the Father by Jesus Christ unless he is drawn there by God the Holy Spirit and no man enters into eternal life unless admitted by the power and agency of the Holy Spirit. (1 Cor 12:3/ Titus 3:5-6) The Holy Spirit is the only one who knows men’s hearts and knows whether a person should be admitted into the kingdom of God. It has been argued that ministers of the gospel have been given the “keys of the kingdom” and are therefore the gatekeepers who allow converts to enter the kingdom of God. However, even if men and women are instrumental in proclaiming the gospel message, it is still the Holy Spirit who brings the words to life and makes them effective, who draws, convicts, converts and ushers into the kingdom. Therefore I feel it’s most appropriate to see the Holy Spirit as the keeper of the door to heaven. Only the Holy Spirit of God has the wisdom and understanding required to admit or refuse mankind at the Gates of Heaven! That is what makes the following information so disturbing. It is now being taught from this passage of scripture that God has placed in the Body, the Church, both pastors (shepherds – a position) and gatekeepers (a gift.) It is said that the gift of a gatekeeper is to “open the gate”, and this covers a multitude of activities. In spiritual warfare it would mean opening and closing heavenly places; in the Body it would mean opening the way for the glory of the Lord to enter; in the world it would mean opening the floodgates to the new revelations and new paradigms that represent the kingdom of God on earth. All this and more is now being claimed for the Gatekeepers. We need to know what is going on. Cheryl McGrath of Great South Land Ministries [pro-revival] has some teaching that helps us delineate the various aspects of the Gatekeepers doctrine, from their standpoint. She speaks of six main areas in which she sees gatekeepers operating today, all based on an allegorical interpretation of scripture. Another handy list showing the duties of Gatekeepers was given in a conference report of the annual Faith Tabernacle prophetic meeting hosted by Bill and Marsha Burns. The Divine Visitor – The Glory Cloud? Biblically literate Christians would think of opening the gate or door and “letting Christ in” as initially receiving Jesus as Saviour, and then of allowing Him to minister to our hearts, lead us, teach us and so forth. That is the result of thinking along the conventional biblical lines. The Gatekeeper, therefore, would be the Holy Spirit. There is also a wider application of these scriptures. As well as calling forth the Glory Cloud to fill the Church, the Gatekeepers are said to be establishing the Kingdom of God on the earth. These two events are often seen as synonymous in prophetic literature. The keys that open spiritual gates apparently also work in the secular world to create opportunities to advance the New Order there. Gatekeepers are also called Josephs and Daniels, two men who became politically powerful on behalf of God’s people. Part of their role is to create a transfer of wealth to fund the “kingdom”. Jill Austin sees America itself as a Gatekeeper, whose role is to open the gates of righteousness to the whole world! It should be obvious to serious bible students that no man or woman can “bring back” nor “call forth” nor arrange for the return of the Lord of All, and the timing of His return is not dependent on how much spiritual warfare or intercession is achieved in the churches. It has been said (based on a misinterpretation of scripture) that Jesus CANNOT return until the Church has achieved her mission of christianising the world and ridding it of God’s enemies, that He is “held” in the heavens until the church and earth is “restored” and comes into her Golden Age. This is so far from the truth as to be heretical! In fact, the bible plainly says that the hallmarks of the Return of Jesus are widespread apostasy (a falling away from the faith) increasing wickedness, catastrophes, and chaos – far from a Golden Age. In any case, Jesus does not return to “inhabit his church” as a cloud of glory! We ought to be deeply worried about any attempt to achieve this kind of event. When I read these exhortations I wonder what spirit inspired them, as I am familiar with the “Great Invocation” circulated by the Lucis Trust (New-Agers) which in a very similar way calls forth light and truth as a flood, and also seeks to “shut the doors” against evil. [Cindy Jacobs] Mercy! Mercy! Let Your light come! Let Your truth come! Let Your anointing fall! Let your wind come! Let your wind blow! Let evil be dispersed, O God! Let the strongholds of darkness be pushed back! Push them back, Lord! We say, Open the gates in the East! Open the gates in the East! Open the gates in the East! Open the gates in the East! OPEN! OPEN! OPEN! OPEN UP! OPEN UP! Gates of the Lord, Open! In the name of Jesus, Open! Gates of the Lord, Open! Open, Lord, Open. [Chuck Pierce:] We declare great conversion! Great conversion! Great conversion of Islam! [Dutch Sheets] Yes! We call forth Your glory over that city! We call forth Your light! We call forth truth! We call forth brotherly love and harmony! We break down greed, materialism, power, racial strife, and division! We call it all down in Jesus’ name, poverty, hatred, division, strife! We pull it down in Jesus’ name! Now, we just say, let our prayers go forth like missiles, guided missiles and smart bombs. Lord, You know where they need to go. And You just take them and direct them by Your Spirit. We say, in Jesus’ name, they will hit the mark! Every Gate on the East Coast, the Eastern Gate, we say, Open Up, in Jesus’ name, to the Spirit of the Lord! Open Up! Open Up! Gates of Righteousness, Psalm 118, the Gates of Righteousness, we command you to open on the Eastern Seaboard, the Eastern Coast. Open Up! Let the glory of the Lord come, in Jesus’ name. We send forth the arrow of the Lord’s deliverance to the Eastern Coast of the United States of America. We say, as a laser of the Spirit, that the lightning of God will go forth and penetrate, penetrate, penetrate! Yes! Yes! Yes! Yes! Yes! Yes! Yes! The breaker anointing! We call on the breaker anointing, to break through for us. We ask You Lord right now, we ask You for angelic hosts to be released to the Eastern Coast. We ask You for legions of angels, hosts, myriads of angels! Lord of Hosts, send a host of angels, warring angels, to the Eastern Coast, to unlock the Gates of Righteousness! OPEN! OPEN! OPEN! Yes! [Bill Hamon:] Amen. Father, as a father of the prophetic, we release the prophetic supernatural signs and wonders and apostolic miracles. We open the Eastern Gate, and let the King of Glory come in! Come in! Come in! Come in! Come in! Yes! Yes! Yes! Yes! Yes! Yes! Halleluia! Yeah! Wow! All right! The Keys of David - Spiritual Authority to Open and Close. One of the tasks of these newly-appointed Gatekeepers is to use the “keys of David” usually taken as identical to the “keys of the kingdom” to establish and maintain that kingdom on earth. In other words, the Gatekeepers are in some cases Apostles with spiritual authority to RULE.